Some background on this major activity. In my second year as Grand Knight (2012/2013), I wanted the council to get involved in another Culture of Life initiative. I thought getting us started with a “baby bottle” campaign of some sort would be a good choice. It started out small with me purchasing a large size “baby bottle” and asking brothers to drop coins and bills in it at our monthly meetings. The proceeds would go to our “Pro Life” council fund. That caught on pretty well and we are still doing this today. Doing a full blown “baby bottle” campaign (distributing bottles to the public for donations) was always a longer term goal, however. So the next year (I was PGK and Chancellor then), I made a motion at a general meeting about doing something larger and perhaps working with the Pro Life Committee in doing so, and council approved it. I knew the parish had a Pro Life Committee and I didn’t want to step on their feet, so to speak, with any Knights of Columbus / parish project, so George Peters (our Pro lIfe Chairman) and I attended a Pro Life Committee meeting and I took along our big “baby bottle” and made a presentation about what we might do together and asking them if they would like to partner with us in approaching the parish staff about doing some kind of a program. It turned out that one of the committee members, Nancy Austin, was a board member and a founding supporter of AAA Pregnancy Resource Center in Livonia. 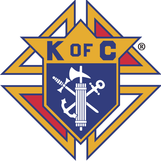 They have been doing great work for several years, had an ultrasound machine courtesy of the Knights of Columbus and had an existing mechanism (bottles to distribute and volunteers to count money) that we could take advantage of. It seemed like a perfect mesh with what we as a council wanted to do. We agreed then that Nancy and I would run the point in approaching the parish about a baby bottle fundraising campaign. I set up a meeting initially with Debbie Miller, the STAB Pastoral Associate to go over our ideas. Our original thinking was to do something around Mothers Day. Debbie suggested we instead consider doing a campaign during Lent as a Lenten “sacrifice” initiative. She was initially cool to the idea of AAA Pregnancy Resource Center being the sole beneficiary of the campaign. But when I explained that it would be the most workable thing to do to use their existing “bottles” and volunteers for counting, she finally agreed that made sense. She was still concerned with the “abortion” and “pro-life” messaging to be used for fear of alienating some parishioners. That was a discouraging roadblock for awhile, but I agreed that I could put together a message to be communicated to the parish using the bulletin that avoided using those two terms and instead focussed on the good work AAA Pregnancy Resource Center does and the Lenten sacrifice aspect of the campaign. The other requirement she had was that the campaign be a parish initiative, not a Knights of Columbus or Pro Life Committee initiative. She did allow us to run the campaign and for me to communicate that we were sponsoring it. With those technicalities dealt with, she took the idea to the full parish staff and received approvals to begin with Lent 2015. By this time we had less than a month to put things together and get AAA Pregnancy Resource Center involved, get bottles to distribute and develop a plan for council and Pro Life committee participation. But we were able to kick things off on the Sunday before Ash Wednesday 2015 and had a great response from the parish in taking bottles home for a Lenten collection of loose change. The response was so good that we had to obtain more bottles from AAA after the first weekend. The campaign ran roughly from Ash Wednesday to Palm Sunday with our major collection effort set for Palm Sunday weekend. We found out early that parishioners don’t necessarily follow program instructions on timing and bottles started to be returned to the parish office almost immediately. Palm Sunday weekend was the biggest collection time for us, but we effectively collected bottles from right after Ash Wednesday all the way to June, nearly two months after Easter! In the end, we collected just over $14,000 that first year for AAA Pregnancy Resource Center and the program was off to a much better than expected start. The parish has allowed us to continue sponsoring this Lenten program since, but we are on a “one year at a time” basis with them. In 2016 we collected just over $11,000. For 2017 we are again off to a good start and Nancy and I are hopeful that we will again top $10,000 in donations this year too. So, although this is billed as a St. Thomas a’Becket parish program, it was started and is run by the Knights of Columbus (with me as point person) and the Pro-Life Committee (with Nancy Austin as point person) in a partnership with the parish staff to make things happen every year. We are hoping that the parish will continue to allow us to do this Lenten initiative for many years to come. AAA Pregnancy Resource Center has been extremely thankful for our work and financial support of their pro-life efforts.